It is that time of year again. Our Hurricane season of June to November is rapidly approaching, are you prepared? You might think ‘we haven’t had to worry about it much in the past’, but It only takes one storm to change your life and community. Tropical cyclones are among nature’s most powerful and destructive events. It is important to remember that none of our islands are immune to hurricanes. Maui Civil Defense Agency staff often hears comments from the public such as “the mountain ranges of the Big Island protect us from hurricanes.” This simply isn’t true. In comparison to the potential volume of a hurricane (about 50,000 feet to the top of the eyewall and perhaps 400 miles in diameter), the mountains of the Big Island are roughly equivalent to a “speed bump.” It is not an issue of if a hurricane will ever impact Maui County, but simply a matter of when one will occur. With this in mind knowledge and preparation are essential. It is vital to understand your home’s vulnerability to storm surge, flooding, and wind. 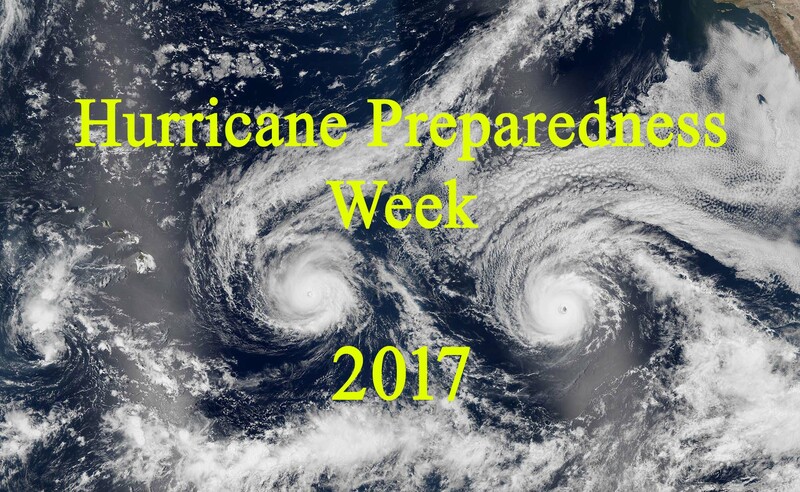 With that in mind this week (May 7-13, 2017) has been declared “Hurricane Preparedness Week 2017”. Now is your time to prepare for a potential land-falling tropical storm or hurricane. Learn how with the tips below and related links. Share these with your friends and family to ensure that they too are prepared. The National Hurricane Center and the Central Pacific Hurricane Center issue watches, warnings, forecasts, and analyses of hazardous tropical weather. Check their websites often and make sure to pay attention to any alerts they put out. What is the difference between a “HURRICANE WATCH” and a “HURRICANE WARNING”? A “WATCH” is an official announcement that a hazardous condition may be a serious threat to life and property within a particular time. A hurricane “WATCH” means that hurricane conditions can be expected within 36 hours. “WATCH” status means you should GET READY and LISTEN to your radio or television for further instructions. A “WARNING” is an official announcement that hazardous, life-threatening conditions are about to occur or are occurring. “WARNING” status means you should TAKE ACTION NOW – grab the emergency kit you have prepared in advance and head to safety immediately. A hurricane “WARNING” means that hurricane conditions can be expected within 24 hours. “WARNING” and “WATCH” announcements for hurricanes, tsunamis and floods are explained further in your phone book. Please take “WATCH” and “WARNING” announcements very seriously. The more prepared you are for any impending danger; the better able you will be to protect yourself and your family. Be ready for hurricanes, tsunamis, and other natural or man-made disasters with the official ReadyHawaii app*. Preparing for disasters is one of the most important things you can do for the safety of you and your family. Created by the City and County of Honolulu’s Department of Emergency Management and available on iTunes and Google Play. We hope everyone prepares now and is safe during the upcoming Hurricane Season. 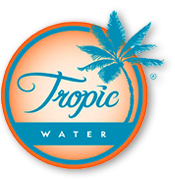 And as always we will be preparing to accommodate your water needs.